Lee Heath had already committed to the University of Tennessee when he was drafted in 1988. His decision was to go pro and start his baseball career. What he was giving up, though, wasn't a necessarily spot on the Tennessee baseball team. He was giving up a spot on the Tennessee football team, according to a wire account. Heath went from being a "defensive back prospect" at Tennessee to being an outfield prospect with the Braves. Heath eventually played in nine pro baseball seasons. He made AAA, but he never made the majors. Heath's career began that year in 1988, taken in the seventh round of the draft out of LaSalle High School in Cincinnati. Heath played his first season in the rookie Gulf Coast League. He hit .201 in 48 games. He then moved to rookie Pulaski in 1989 and then single-A Sumter in 1990. At Sumter, Heath's hitting coach Ralph Rowe called Heath "loaded with potential," according to The Sumter Item. He hit a home run in an August game. He hit just .207 on the year. 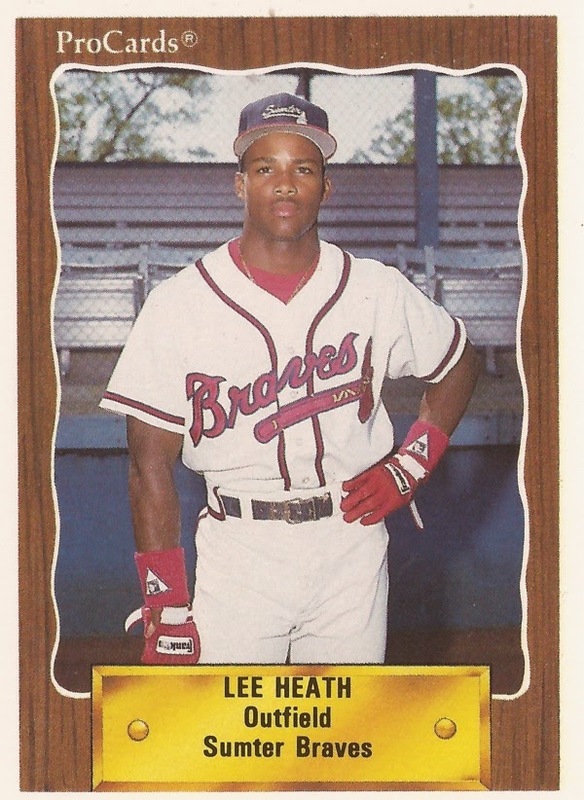 Heath played 1991 at single-A Macon, then 1992 at high-A Durham. He made AA Greenville in 1993, hitting .243 there. He played most of 1994 at high-A High Desert. But he also got 13 late-season games at AAA Richmond. He picked up three hits in a late-August game. Heath played in two more seasons. He played 1995 between Mexico and independent Moose Jaw. He then split time between Moose Jaw and Regina in 1996. He hit .271 between them that year. It was his final season as a pro.